In 1876, Joe and Jim Waterhouse and four of their friends purchased a one key flute and a drum, founding the Middleton Perseverance Drum and Pipe Band. 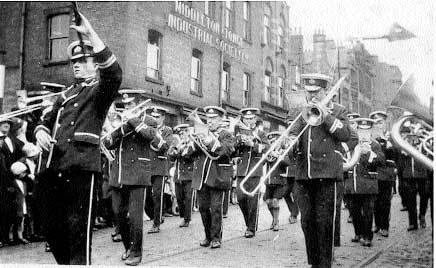 The first outings by the band were to local pubs where they played in exchange for ale or lemonade (some of its members were not of drinking age). 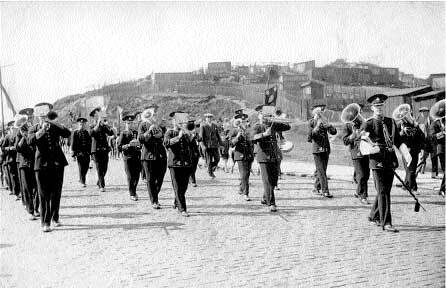 This earned the band the nickname “The Pop and Ale Boys”. 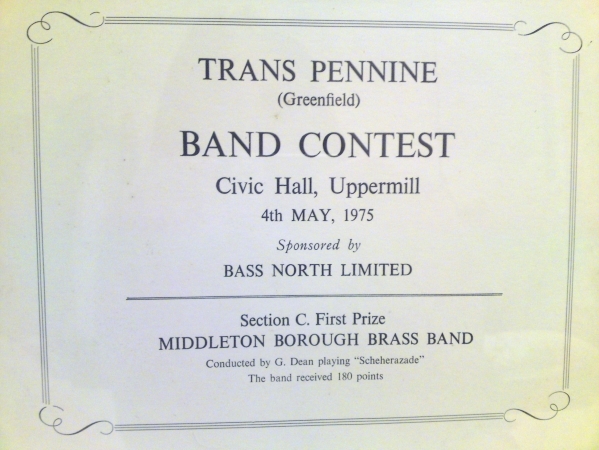 Soon after, the boys joined forces with former members of the Rhodes United Brass Band and reorganised themselves into the Middleton Perseverance Brass Band. 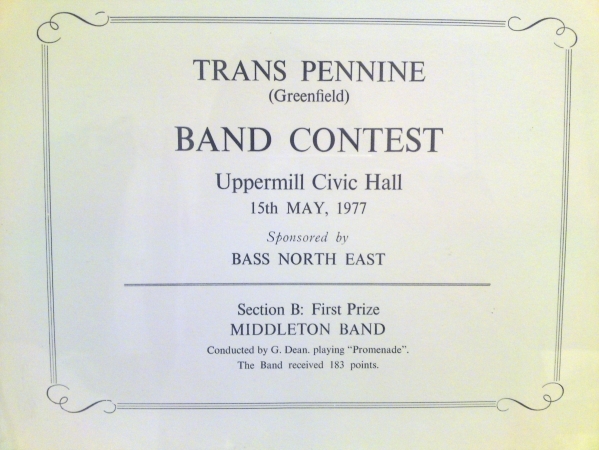 The first recorded contest result for the band was at Luddenden contest in 1881 where the band came 2nd, see our results page. 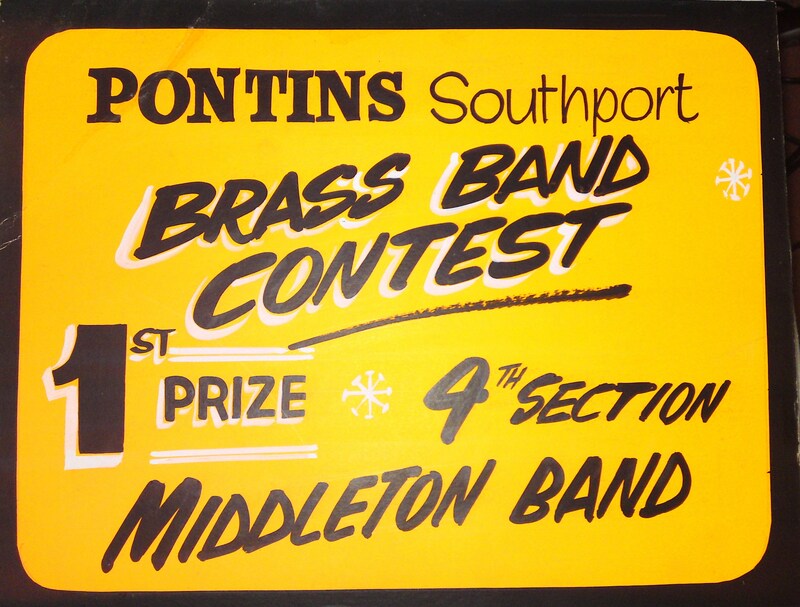 In 1974 the band became Middleton Band and in 1976 acquired a new band club in Water Street, thanks to the John Willie Lees Brewery. 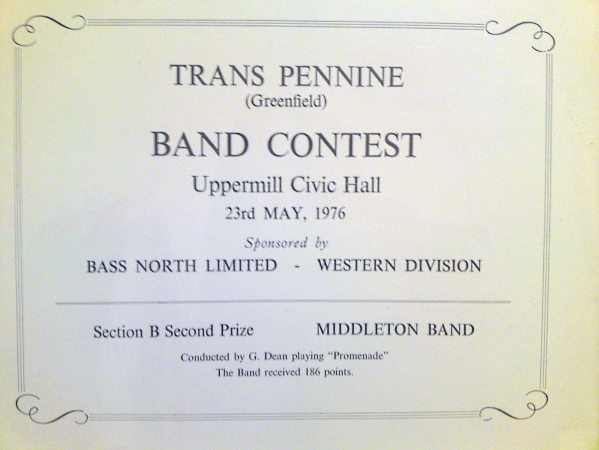 Contesting is a major part of the band’s life. 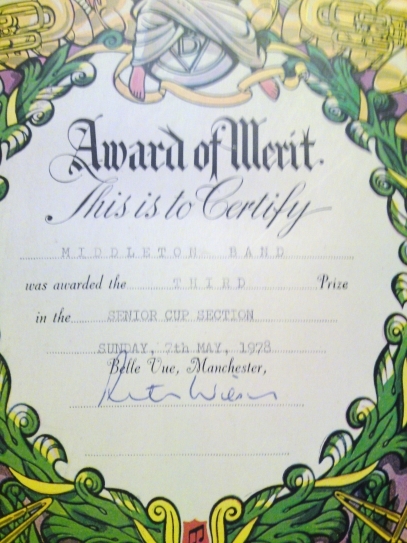 In 1983, Middleton Band became champions of the third section in the National Brass Band Finals at the Royal Albert Hall, though there have been mixed fortunes since then. 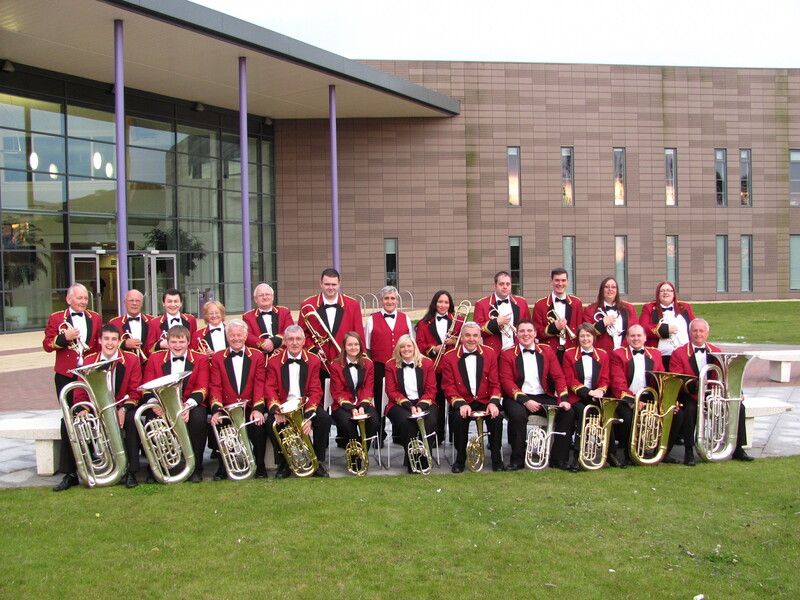 the Middleton band had formed a successful youth band, continuing the tradition of pop and ale, who performed at Euro Disney, France and at the Menin Gates, Ypres in Belgium. 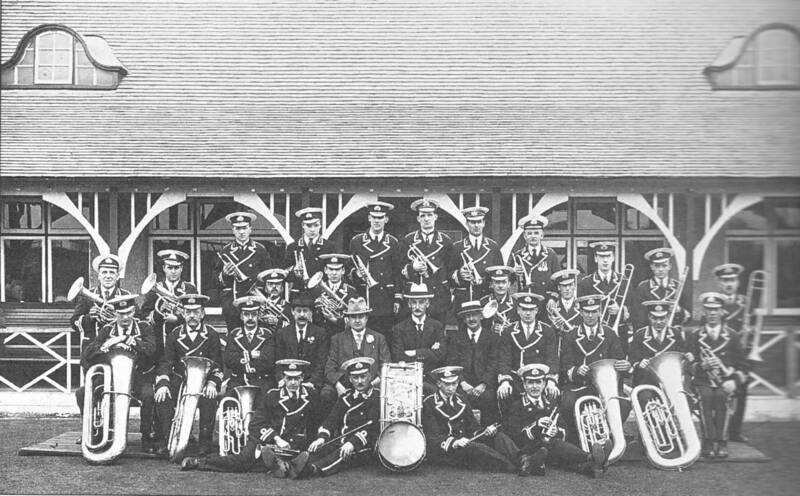 By the time the band celebrated its 125th anniversary in 2002, the thriving youth band had provided the senior band with many of its players. 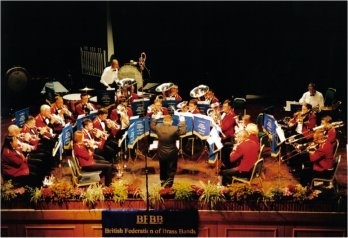 The senior band then qualified for the Third Section National Finals 2002 in Torquay where they finished in third position. 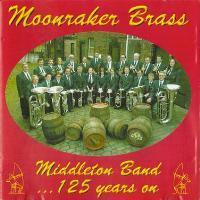 During the same year the band recorded its first CD, Moonraker Brass. The CD is named after Middleton townspeople, who are known as Moonrakers, after some local characters who are said to have to tried to rake the moon’s reflection from a local pond (thinking it was a gigantic cheese) whilst under the influence of – as if you hadn’t guessed it – beer! 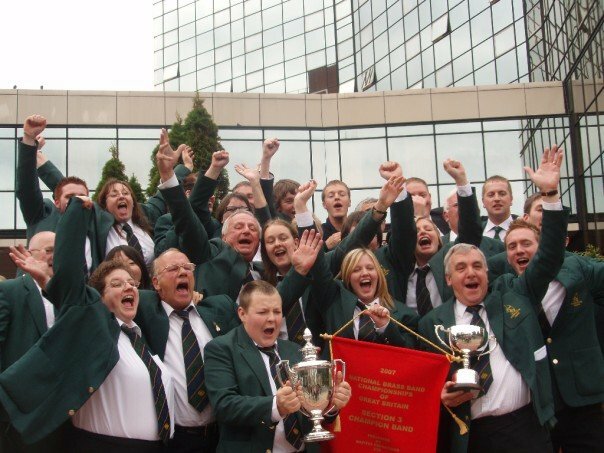 Over the past decade the band has attended local and national contests and with some impressive results including being awarded the North West Counties Brass Band Association 3rd Section Champion Band award, and in 2007, 2nd Section Champion band. 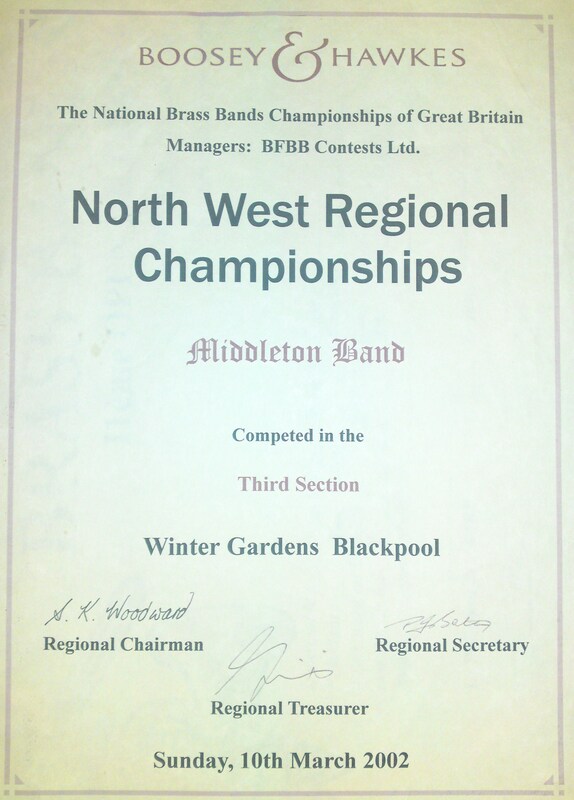 The band continues to contest frequently and in 2007 the band once again became 3rd Section National Champions of Great Britain. 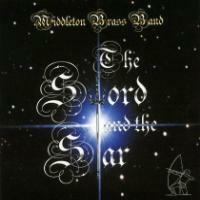 The band also recorded their second CD, The Sword and the Star. The title refers to two symbols of Middleton’s historic past, the Flodden sword and the star of the Assheton family crest, which formed part of the Middleton borough coat of arms and continues in the crest of the modern Rochdale borough. 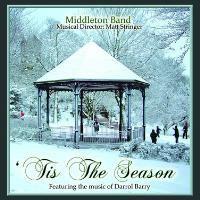 In 2010 the band recorded it’s third CD, ‘Tis the Season’ featuring Christmas arrangements by prolific composer and arranger Darrol Barry, who is currently composer in residence to the sultan of Oman. 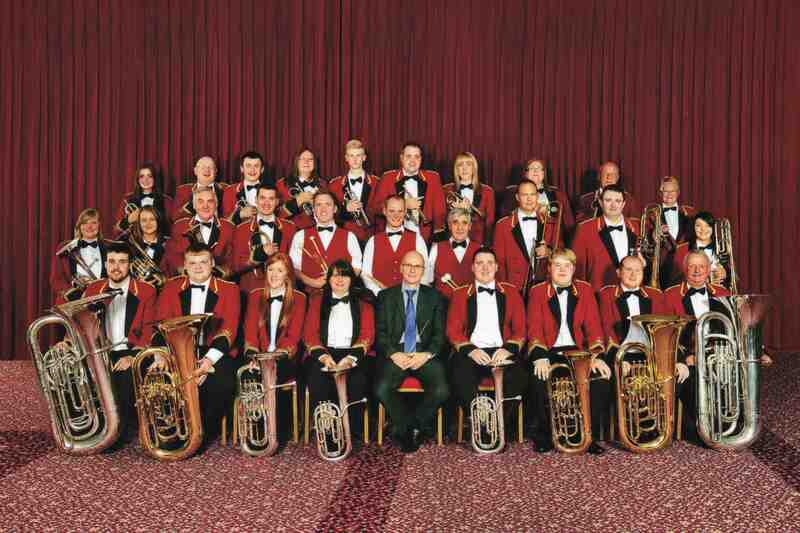 In 2013, the band once again qualified to play at the National Finals, this time at The Centaur at Cheltenham racecourse, where they came 4th in the 2nd section. 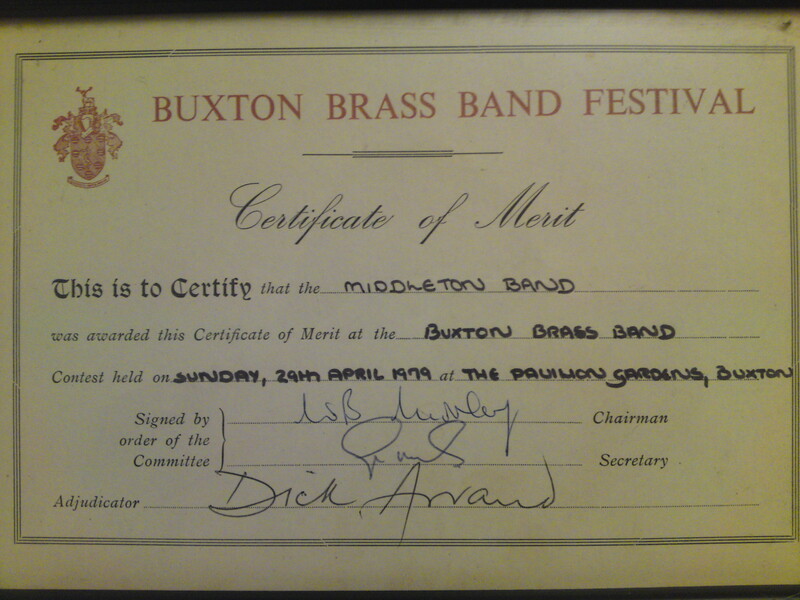 The band’s motif is the Middleton Archer. Bowmen from the area fought at the Battle of Flodden under Sir Richard Assheton, who in 1524 enlarged the Norman church of St Leonard’s, which stands in the heart of Middleton. 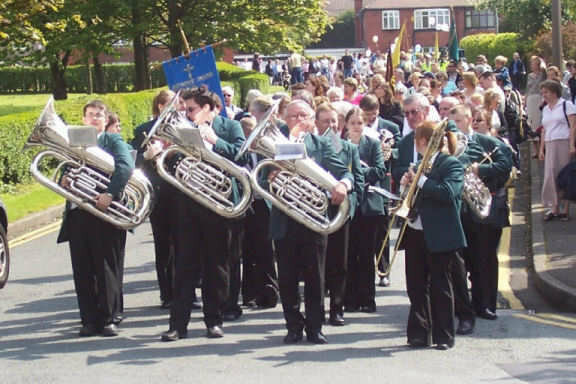 The band enjoys wide support from the people of Middleton, and regularly gives public and private concerts as well as leading processions through the town. 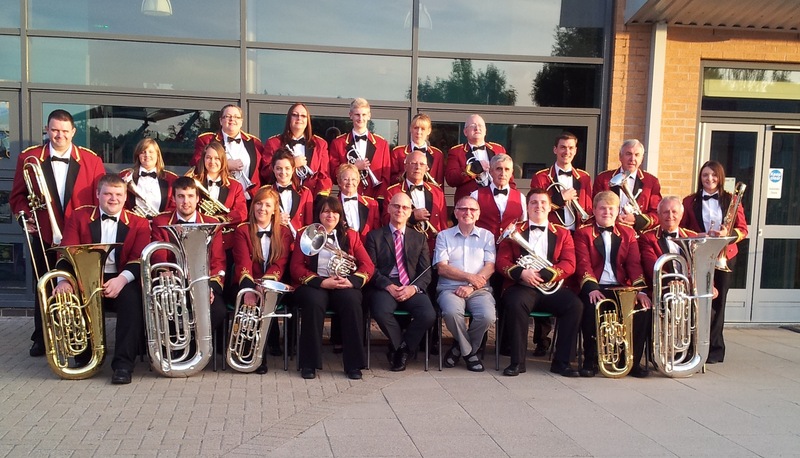 In 2018 the band won the second section regional contest and once again qualified for the National finals where they became National Champions and secured promotion to the 1st section for the first time in the band’s history. Some bits of band history we found whilst having a tidy up! 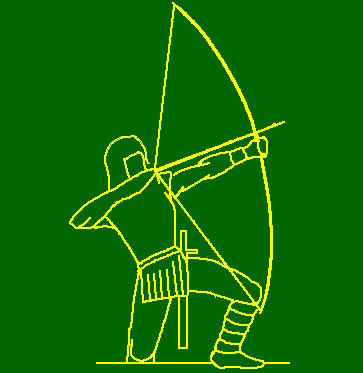 In 1513 Lord of the Manor Richard Assheton enlisted his bowmen, who he trained locally in Middleton, to help repel the scots from Northumbria. Equipped with their longbows he led them to Flodden field to join forces with the rest of the English army, and although outnumbered they inflicted a crushing defeat on the invaders.